Having the possibility of limiting its own residence with a zone and, where possible, maintaining inside a permanent water volume is a very common characteristic of building in the history of human communities. In particular, in the floodplains the construction of specific sites with those features (usually named ‘motte’) had, expecially in some regions, a wide cultural and organizational development, with reference to the protection of the territory. Nowadays the image of the Middle Ages castle’s moat is par excellence the symbol of the defence of a place. As well as men, a lot of faunal species live or spend long times of the year in numerous groups to guarantee a better protection against possible disturbance and/or risk factors. It is the case of many herons which breed in large multi-species colonies (‘heronries’). Their typical nesting habitat consists of wet forests, isolated thanks to the presence of water all around. Until recent times those environments were rather common nearby large-sized watercourses and marshes. 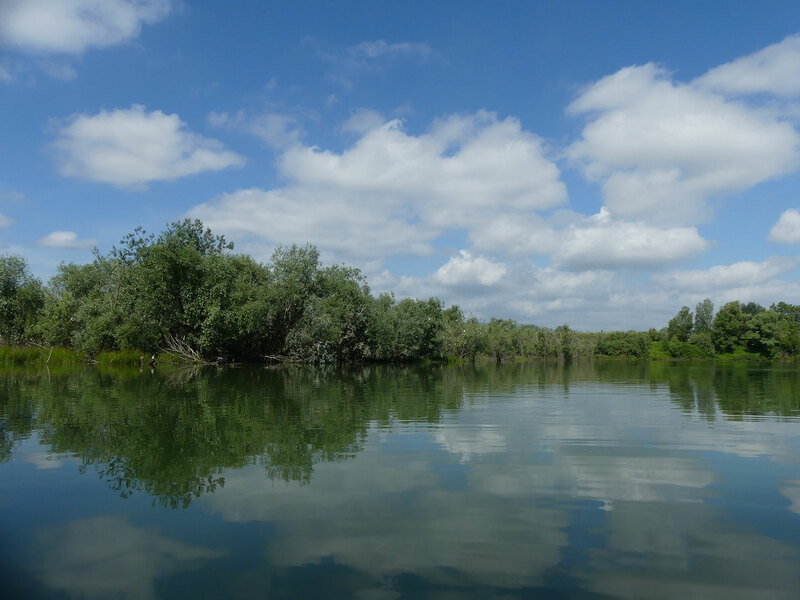 Due to the hard alteration of natural rivers that involved all the territory over the last decades, those environments almost disappeared. So today the lack of those habitats is thought as the most important limiting factor for the presence of heronries and thus for the possibility that those birds can reproduce in a territory. 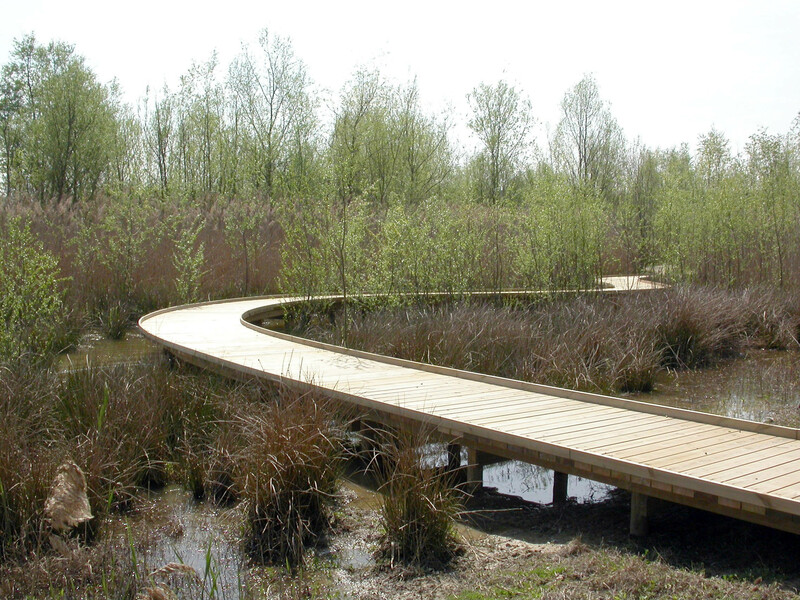 Then today the costruction of new wet forest habitats suitable to herons is a priority from the wildlife conservation point of vew of and, in the same time, from the landscape point of vew. With this artwork a lake in an abandoned gravel pit was redesigned to show wide islands, completely surrounded by deep water, on which permit, year by year, the growth of the wet forest. 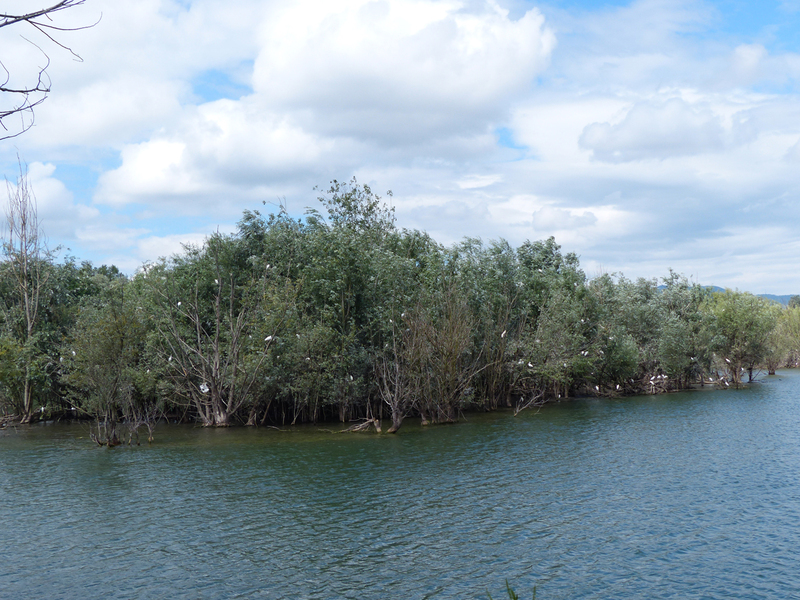 Precisely, the isolation factor guaranteed the success of the intervention with the establishment, after some years, of a new breeding colony in which four species of herons breed. 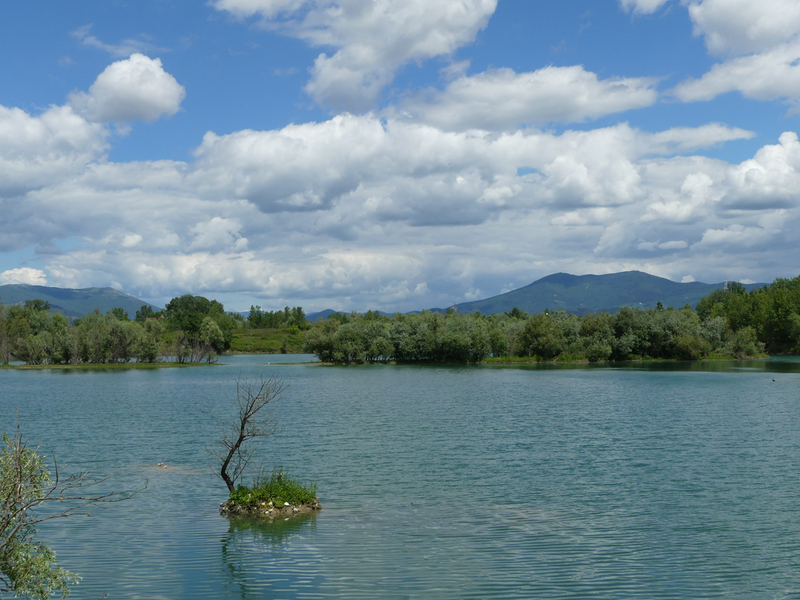 Lake in an abandoned gravel pit near the confluence of river Bisenzio into river Arno. Construction with mechanical means of large canals capable of isolating wide areas to create islands. 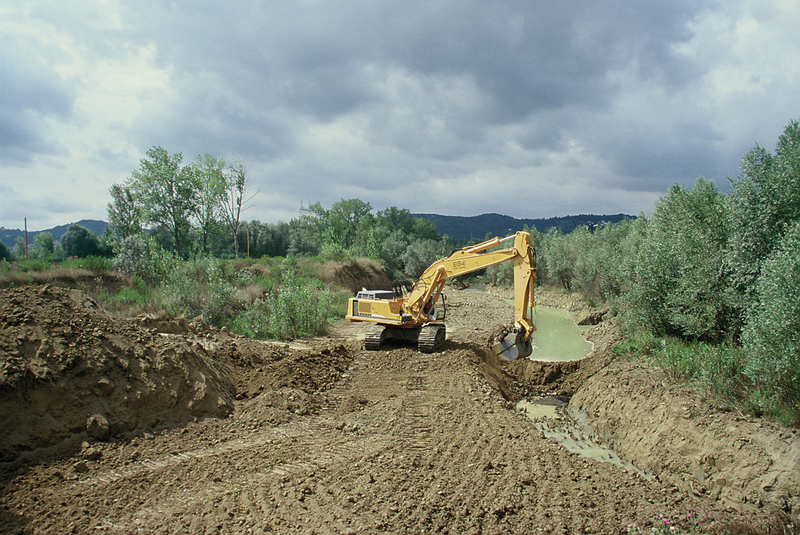 Plantation of riparian and aquatic species to form important parts of the wet forest. 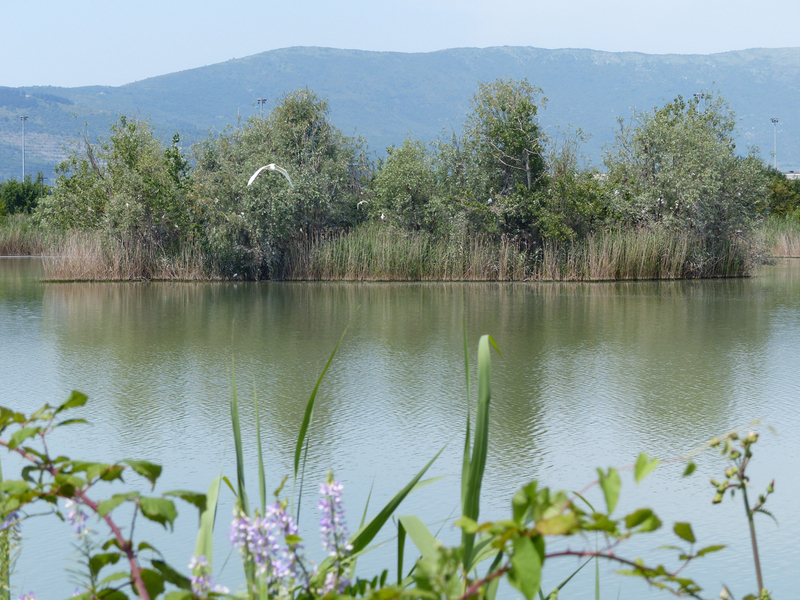 Realization of bogs and ponds around the lake.